Eggplants are known in Zambia as Impwa, garden eggs or simply eggplants. Garden eggs are a smaller variety of the eggplant that is grown and loved by most people of Zambia. The garden egg gets its name from the small size of the eggplant. 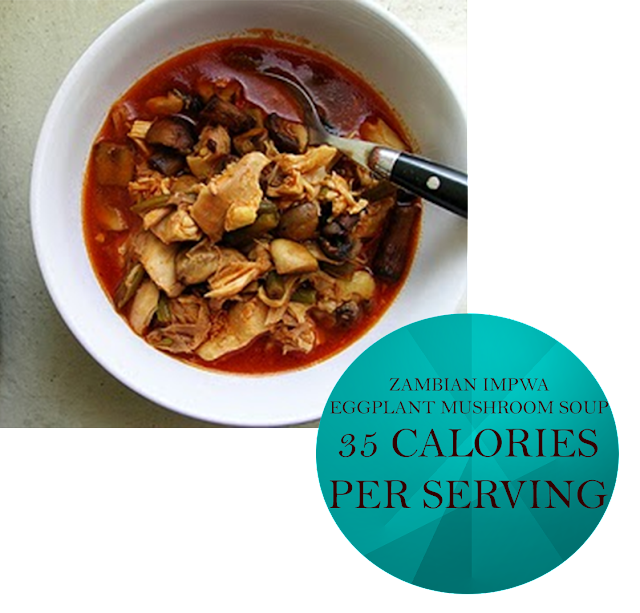 Zambian impwa eggplant mushroom soup is a healthy African recipe. Garden eggs are low in calories with about 35 calories in a one-cup serving and mushrooms are typically 16-90 calories per one-cup serving. Add all ingredients into a large pot and simmer 20 minutes or until eggplant is soft. Serve warm with crusty bread. Zambia was known as Northern Rhodesia until independence from Britain in 1964.